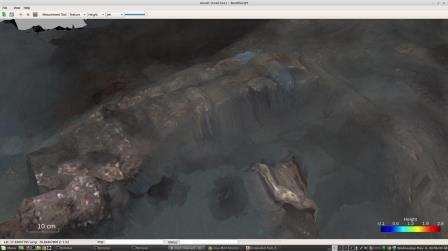 An international marine robotics team including a University of Sydney researcher has conducted a preliminary search of Port Royal capturing large scale images of the infamous sunken pirate city. Invited by Jamaica's National Heritage Trust the high resolution under water images taken by the team will assist in the Caribbean nation's bid to have the area included in UNESCO's World Heritage List. Lead by the University of Michigan's Assistant Professor Matthew Johnson-Roberson, an alumnus of University of Sydney's the team used underwater 3D camera diver rigs to map portions of the notorious metropolis, submerged as a result of an earthquake more than three hundred years ago. The project has been partly funded by the National Oceanic and Atmospheric Administration (NOAA) Office of Exploration and Research. "In the 17th century, Port Royal was the English mercantile capital of the New World - a bustling sea port that was a haven for privateers and pirates due its excellent geographic location in the middle of the Caribbean. " The city was considered the most "wicked, lewd place in the Christian world, " and many at the time explain the massive earthquake that sent two-thirds of the city to a watery grave as God's vengeance. "Today intact buildings and streets remain preserved in 10 to 20 feet of water with artefact assemblages surviving in-situ within the rooms and buildings in which they were used. The project has two main goals says robotics engineer Durrant. "We want to produce an extremely high resolution survey of the submerged remains while at the same time developing robust end-user tools and practices for marine archaeological survey. In this cruise we used the diver rig to capture images in the same way that our autonomous underwater vehicle will when we return to do a full scale survey. 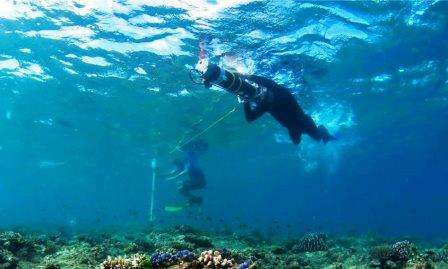 "The city remains are widely dispersed, often covered in soft sediments and re-deposited coral, conditions which have challenged existing approaches to mapping the sunken area. "It also presents an excellent baseline for image processing as it is victim to challenging visibility of usually around four to six feet. Durrant says the site has been given a tentative designation by UNESCO while its case is fully assessed. "One of the major problems with the current submission is the lack of a full and detailed plan of the submerged remains at Port Royal." "Although important underwater work took place at the site in the 1960s and 1980s, that work focused on single buildings or small areas. As a result no detailed archaeological plan of the extent of the site has been carried out. The University of Nottingham's Jon Henderson who is leading the archaeological investigation of the site and will use the 3D maps produced by the team to assist the Jamaican National Heritage Trust with their application to achieve UNESCO world heritage status for the site. The team plans to return to the silty site for further investigation in January 2016.